Mobility is rapidly changing in the enterprise sector. Check out these trends shaping industry in 2019. As we look towards the coming year, technology is continuing to grow and innovate across industries. Operations are becoming automated and running more efficient – but thanks to mobile solutions, companies are taking advantage of remote work access and more interconnected workforces. Enterprises should look to embrace this new wave of innovation and look to integrate their current employees and operations into agile solutions. From AI to immersive technologies, companies need to take full advantage of the trends of tomorrow, and mobile technology, in particular, should empower enterprise leaders to stay competitive in the current digital environment. Let’s take a look at a few trends that will shape enterprise mobility solutions for 2019. Artificial Intelligence is now being adopted into just about every industry. If integrated properly, AI can ease the workloads of employees while speeding up all plant operations. Companies can leverage AI into all aspects of their operations and see better efficiency across the board, and the impacts of AI across the warehouse will be multifaceted. This can range from end-user experience, device management and security to data collection and analysis. Major growth in manufacturing, retail and transportation (due to automation insights). By 2020, 48% of the workforce will be mobile. The entire scale of operations will have some impact of mobility. Whether it’s coordinating field calls or implementing enterprise-wide inventory tracking, mobility will play a role in making sure operations run both smoother and faster. With the anticipated rise of mobile devices, partnering with a managed mobility provider is crucial to providing device support to employees. 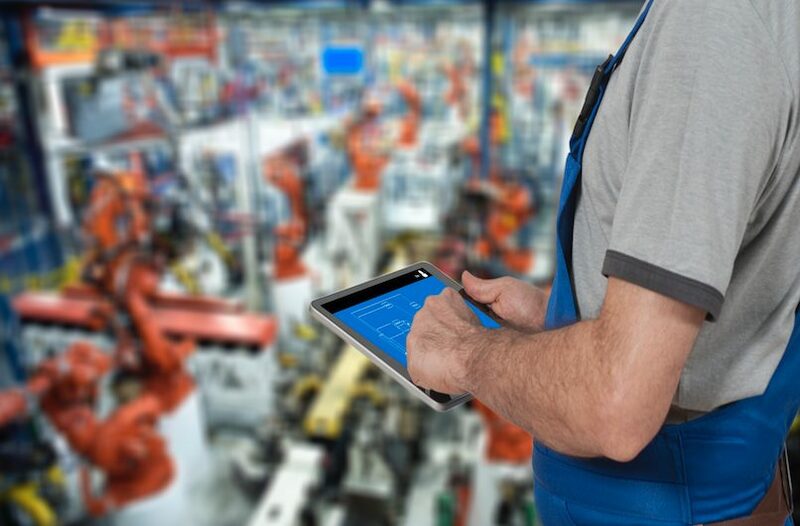 These critical devices can range from rugged tablets in the field, a sales associate’s mobile POS to a mobile device in the warehouse used for inventory management. Device support and implementation are as important as mobile functionality; enterprise mobility can offer great benefits to a company, but only if integrated properly and with capable support. Augmented and virtual reality is not just applicable to consumers anymore. AR/VR can be outfitted with potential applications to help meet enterprise demands; virtual reality headsets particularly can help drive both user and customer experiences. VR headsets can also offer comprehensive employee training without any real consequences. Manufacturers can use AR/VR for more immersive product modeling as well as give them an idea of how processes are going and make necessary improvements. Augmented reality has widespread enterprise appeal from immersive sales experiences to more connected field support. With increasing agile and remote workforces, companies need to meet the needs of their employees to ensure satisfaction and best operational efficiency. This involves widespread usage of bring-your-own-device (BYOD) where employees can use their own phones, laptops and tablets for enterprise operations, making it imperative for companies to adopt uniform mobile procedures. This includes security procedures to cross-platform functionality. Smart applications can be built into personal devices to offer desktop function on a variety of mobile devices as well as applications that work on both IOS and Android. Remaining agile is a huge concern for enterprises, where if properly implemented, BYOD can pay off for both decision-makers and employees. With integrating personal devices into an enterprise fleet, there are security risks that arise. Personal devices should be outfitted with secure authentications to protect both personal and company data. This can help protect against cybersecurity breaches as well as lost or stolen devices. Additionally, applications can be built into devices to encrypt data as well as wipe information remotely if need be. Working with an experienced mobile solutions partner can offer security solutions and support that enterprises need. As more and more information becomes digitized in 2019, security is an utmost priority. Sensitive company data should be secured through smart applications and all devices, personal or not, should be encrypted. Around the world, telecom carriers are prepping to launch their much anticipated 5G network abilities. Handset manufacturers will soon announce new models early in the new year and throughout 2019 to cater to this. The benefits of 5G will be faster access to data, video anytime/anywhere and low latency. This will enable the continued developments of mobilization to the next level, where SaaS access together with AI, AR/MR and video can be executed in real-time anywhere you use your mobile device, and all together create an even more powerful computing device. 2019 will still be an early time of mass 5G deployments, so the technology might become available, but full usage may lag behind. Lack of bandwidth, network upgrade plans, and physical in building location could put a damper on optimal usage. New handsets will also not be low-priced, as many carriers will also introduce new display types to peek consumer interest. The digital wave is in full effect and mobile solutions are becoming ingrained in all industrial activities. Mobile touches every part of the operation – from manufacturing, inventory management, shipping and logistics to the final sale. Innovative technologies are helping these process flow smoothly, and industry leaders should aim to adopt these new trends before outdated processes become entirely obsolete. But the future is bright, and all of these technologies are heading our way! My recommendation is to be aware and integrate them when it makes sense for your business! Marco Nielsen has more than 20 years of cross-functional experience in systems architecture, operating systems, hardware and communications for large enterprises. Marco brings extensive experience, leadership and expertise to the development and execution of enterprise mobility initiatives for Stratix. He creates enterprise mobile strategies that align with clients’ objectives to assure that device deployments deliver business value. 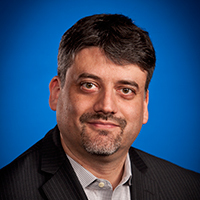 A recognized industry thought leader, Marco uses his real world experience with large enterprise mobility clients to conduct strategic workshops on a variety of enterprise mobility topics, publish provocative white papers and create thought-provoking blog posts.